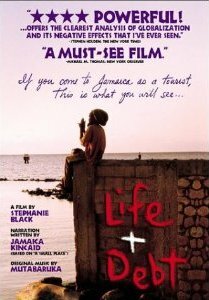 Documentary about what the IMF did to Jamaica, forcing globalisation on it to its great detriment. Prime Minister Michael Manley speaks very candidly. With great effect cuts back and forth between Jamaicans of all economic backgrounds who are remarkably clued in on the IMF, world bank and globalisation, smug IMF heavies, evil businessmen, exploited workers and tourists. It shows Chiquita Banana company mowing down 23 Honduran workers on strike who refused to go back to work. It explains very clearly how the IMF works and why it does not in the least work for the benefit of third world countries as it claims to.